NCL supports strong and effective government regulatory and enforcement agencies to assure safety of services and products used by consumers and the environment in which they are used. NCL believes that corporations have a responsibility to assure that safety and universal design be built into product and service design. NCL encourages prompt gathering of injury data by the public and private sectors in order to identify trends, inform consumers, and take appropriate actions to address safety concerns. In consultation with our Board of Directors, NCL wrote in November of last year to the five commissioners at the Consumer Product Safety Commission urging them to begin the regulatory process toward a mandatory safety performance standard for table saws that is technology neutral – which means not endorsing any one technololgy. Such a safety standard dictates what the result must be – safety in using the product during regular use – not how you get there. Then, in February of this year, USA Today featured an article on the hazards of table saws, which prompted CPSC Commissioner Bob Adler to bring the makers of the safe saw, SawStop, into Washington for a meeting. The industry representatives, the Power Tool Institute, also presented to Commissioner Adler, arguing they couldn’t adopt the technology because it too expensive to implement especially in the smaller saws. 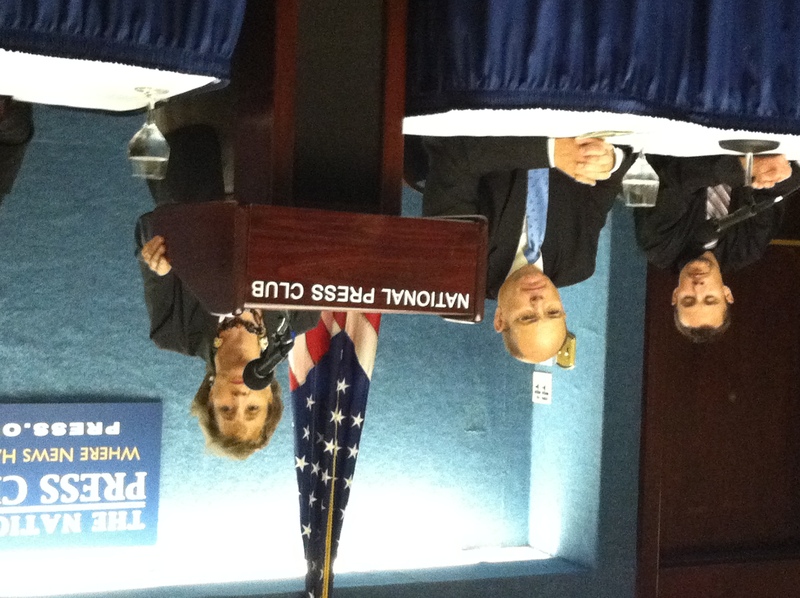 [caption id="attachment_1829" align="alignleft" width="300" caption="Sally Greenberg speaks to reporters about table saw dangers at the National Press Club on May 25."] [/caption] In the latest development, this week NCL escorted four men from three different states around Washington. Each of them had personal interactions with table saw injuries – three had serious injuries themselves, including amputations and a mangled right arm that may never function normally, and one owned a cabinetmaking shop where two of his workers had their hands maimed by the saws; three of them knew about the safety technology when they bought their saws; two couldn’t afford a higher-end saw (and ran small businesses on the side while holding other jobs,) and the shop owner had tried to buy two saws before they were on the market. They are all deeply sorry they didn’t have safe saws. We visited four of the five CPSC Commissioners, a number of senators and several members of the House of Representatives. At the end of this grueling three days, these guys – who had never met before this week, were like brothers. They heard one another’s stories time and time again and all were asking that all table saws sold in the United States be subject to a mandatory safety standard. We got positive feedback from the Chairman of the CPSC, Inez Tenenbaum, who told us she believes they have the votes to open an Advanced Notice of Proposed Rulemaking. That very important regulatory process is the first move toward a mandatory standard, if one is to be adopted. And we are ready for the predictable resistance from industry – but that ship has sailed. NCL will invite 100 victims of saw accidents to come to Washington if need be – and with them, pictures of their bloody and painful injuries. They all have a story to tell – about dreams destroyed, careers ruined, livelihoods in jeopardy, being forced to go on welfare, food stamps, and energy assistance because they can’t make a living – and the constant pain and suffering they endure because of one millisecond slip into the blade of a table saw. All the while, they could have been kept safe by currently available technology. Once the real story gets out, no one will be able to argue that making the most dangerous product in the workshop the safest isn’t a cause worth fighting for – and winning.